The staff at Record Town loves music and wants to share their knowledge and enthusiasm with you! Our unique expertise sets Record Town apart from the average record store. Gerard Daily is owner, store manager and accomplished musician. 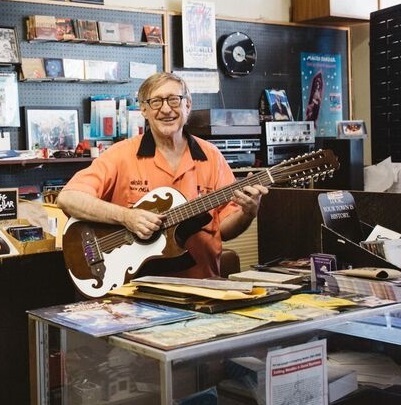 Gerard has worked at Record Town since 1976 and has a wealth of knowledge to share in blues, rock n roll and Texas music. You might catch him playing his lap steel or bajo sexto when you visit the store. Sumter Bruton is owner and local guitar hero. As part of the musical Bruton family, Sumter is a disciple of T-Bone Walker and all things jump blues. He is the leading authority for music in the Fort Worth area. People come from all over the world to learn from Sumter. Sumter Bruton is a walking encyclopedia of American Music. Tom Reynolds is owner, real estate mogul and professional musician. Tom has had a love affair with Record Town since the late 1960’s. Most of his musical knowledge came from hanging out at Record Town and listening to jazz, bluegrass, the blues and anything else that might be playing on the stereo in the store. Tom has played with everyone from Steve Miller to Billy Gibbons and plays locally with several jazz and rock n roll bands. 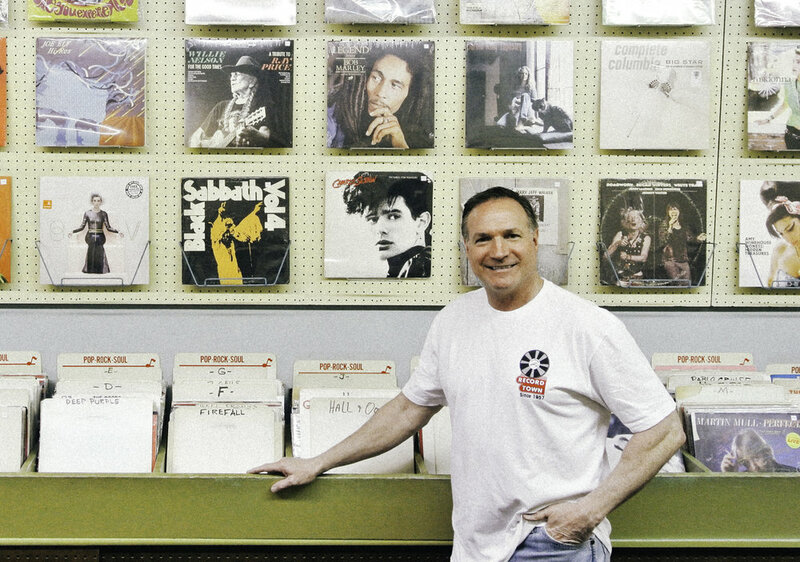 Bill Mecke is owner and ultimate music lover. Like Tom, Bill has been in love with Record Town for over 20 years and probably spent half of his yearly income at Record Town. Bill loves the roots of all music, especially the blues, rockabilly, garage rock and conjunto. Come on by and enjoy a great conversation with a true music lover.